Seneca County lies in the western part of New York State in the Finger Lakes region. It nestled between Cayuga Lake on the east and Seneca Lake on the west. Seneca County has a population of approximately 35,000. The county seat is Waterloo, which is known as the birthplace of Memorial Day. Just east of Waterloo is Seneca Falls, the birthplace of the Women’s rights movement in America. The County is named after the Ioquois tribe, the Seneca, who resided in part of what is now the County (though the Cayuga Nation lived in part as well). The New York State Thruway as well as the Erie Canal pass through the northern reaches of the County. 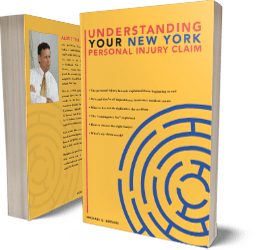 The Central New York personal injury and medical malpractice lawyers of Michaels & Smolak have their main office in nearby Auburn, New York, which lies in neighboring Cayuga County. Because of its convenient location, and because Michaels & Smolak is the only law firm in the area that limits its practice almost exclusively to personal injury and medical malpractice cases, many seriously injured Seneca County residents bring their cases to Michaels & Smolak. They count on the firm’s vast experience and solid reputation in this field. The firm’s top-tier ranking and awards can be viewed on the firm’s Honors and Awards webpage. Mike Bersani, one of the firm’s lawyers, lives in Geneva, New York, just west of Seneca County in Ontario County. Because he passes through Seneca County on his way to and from Auburn almost daily, it is convenient for him to visit the firm’s clients in Seneca County. The personal injury lawyers of Michaels & Smolak have a long tradition of paying “house calls” to its clients. Many clients are too injured to get around easily. The firm makes frequent appearances in the Seneca County Courthouse located in Waterloo, too, so that visiting with clients at their homes in Seneca County is not “out of the way” at all. The law firm handles all sorts of injury cases, including car accidents, truck accidents, trip-and-falls, slip-and-falls, construction accident, workplace injuries, dangerous product cases, snow mobile and ATV accidents, school injuries or assaults, bicycle and motorcycle accidents, negligent roadway design cases, medical malpractice cases and even legal malpractice cases. Several Seneca County lawyers refer all their personal injury and medical malpractice cases to Michaels & Smolak because they appreciate their expertise, strong reputation, and quality results in this area. The fact that other lawyers trust only Michaels & Smolak with their injury, accident and medical malpractice cases speaks volumes about the firm’s reputation among the legal community. Recent clients the firm has represented from Seneca County include a welder who was rear-ended on Route 5 & 20 while waiting to turn left with his turn signal on. He ended up with herniated disks in his cervical spine requiring surgery. The firm obtained a $1.3 million settlement for him. The firm also represented a Seneca Falls resident who fell from a scaffold at the Seneca Lake State Park and ended up with a shoulder rotator cuff tear. The firm took this case to trial and won $290,000 for him. Most personal injury cases settle out of Court, but when the insurance carrier refuses to pay what’s fair, Michaels & Smolak will recommend to clients that they go to Court. It’s the client’s decision as to whether to settle or go to trial. If the client does decide to go to trial, and he or she lives in Seneca County, the trial will likely take place in the Seneca County Supreme Court, located conveniently in Waterloo.